Bella Hadid Gets Birthday Wishes from Boyfriend The Weeknd! 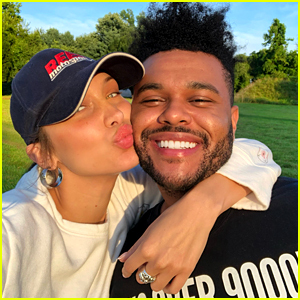 | Bella Hadid, The Weeknd | Just Jared Jr.
Bella Hadid Gets Birthday Wishes from Boyfriend The Weeknd! The model is celebrating her 22nd birthday today (October 9) and she got a birthday wish from her boyfriend The Weeknd right as her birthday began. The 28-year-old singer, whose real name is Abel Tesfaye, posted a slideshow of videos and photos featuring him and Bella throughout their relationship. This selfie is included in the collection. “happy birthday Angel 🖤❤️,” The Weeknd captioned the post. Bella and The Weeknd began dating in early 2015 and then split in November 2016. They rekindled their relationship this past summer. 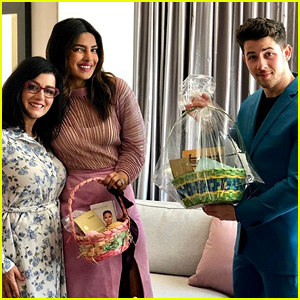 We love seeing them back together! The Weeknd Documents His Day With Bella Hadid! Bella Hadid & The Weeknd Dress Up as 'Beetlejuice' Characters for Halloween! The Weeknd Wears 'Blame Bella' Hat While Stepping Out With Bella Hadid! Bella Hadid & The Weeknd Cuddle Up During a Cute Date in New York City! The Weeknd & Bella Hadid Look Cute Together Hand In Hand in NYC! Bella Hadid & The Weeknd Get In Quality Time After Fashion Week! Bella Hadid Goes On an Ice Cream Date with The Weeknd! 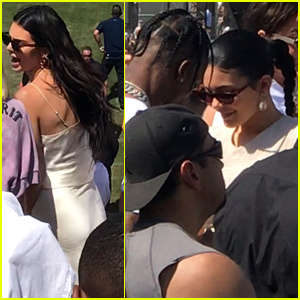 Bella Hadid & The Weeknd Couple Up for Kylie Jenner's 21st Birthday Party!